LOW, LOW MILES!!! ONLY 75K MILES! 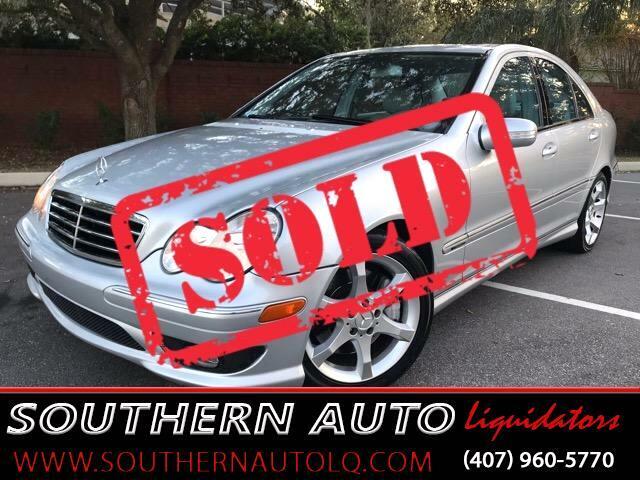 You are looking at a super clean LOW MILEAGE 2007 Mercedes-Benz C230 Sport Sedan. You just can't help but be impressed with how nice this Benz drives. Mercedes really knows how to build a car. This car looks and feels practically brand-new! This C230 is absolutely beautiful inside and out with only only 75k miles. You really need to test drive this car and see how amazing it drives! The throttle response is immediate, impressive acceleration with great handling and has been very well maintained. This 2007 Mercedes C230 Sport Sedan boasts a seven-speed automatic with Touch Shift to allow the driver to manually downshift or upshift paired with the double overhead camshaft 24-valve 2.5-liter V6 engine that puts out 201 horsepower and 181 pound-feet of torque. You will find the 2007 Mercedes C-Class boasts a pleasing ride and predictable handling dynamics, consistent with Mercedes' reputation for building solid, well-engineered vehicles. The C230 Sports models include a black leather-trimmed three-spoke steering wheel with audio controls, power windows, a four-way tilt/telescoping manually adjustable steering column, dual climate control, cruise control, an auto-dimming rear view mirror, 10-way adjustable sport front seats with power height and recline, black Birdseye Maple wood trim, an AM/FM radio with in-dash single CD player with MP3 capability, and six speakers. This one features the Sunroof Package, which also includes a rain sensor, power rear-window sunshade, and garage door opener. Runs and Drives Fantastic, really a joy to drive. Come by Today, You won't be disappointed!!! Drive Fun, Drive Safe, Drive Cool!